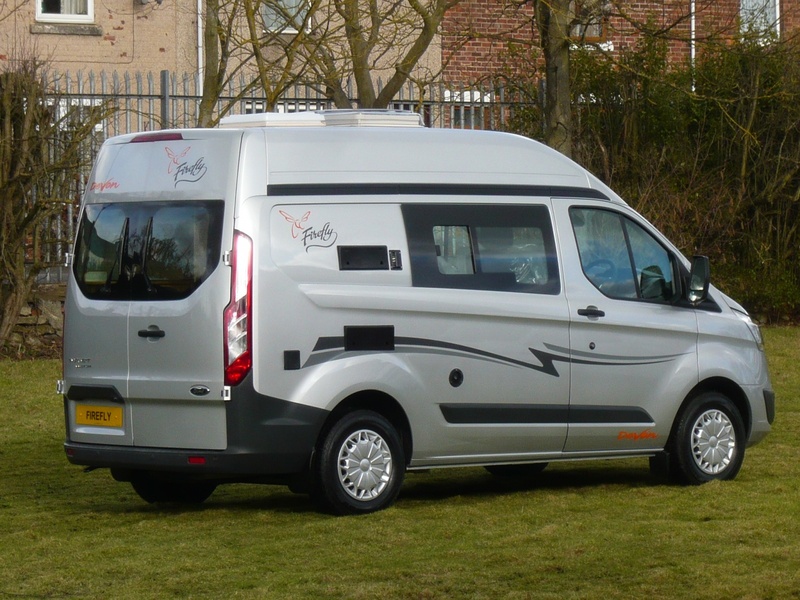 We got in touch with Todds Leisure of Preston today, our “local” Devon Conversions dealer. They sold their only Devon Firefly some weeks ago. They were very helpful and phoned back to say that a Firefly should be available for viewing late December or early next year. Devon’s HQ is some 175 miles from us and it’s a little too far just to have a second viewing, mainly to see if a shower tray could be fitted in the washroom area. I think that it IS possible, sitting over the spare wheel which is underslung on this model Transit. We did visit a caravan dealer to see if he had the Eldiss 302 caravan in stock, which should have been pert exchanged but that too was elusive. The Eldiss 304 was rather smart but a bit too long for our cottage parking spot. So, it looks as if we cannot be in a hurry to swap anything at present. I am very happy to continue with the Kampa. I am going to have another look at further modifications to our Microlite caravan and possibly use some winter days to DIY our way to a slightly more comfortable caravanning experience. Towed by our trusty campervan, of course!